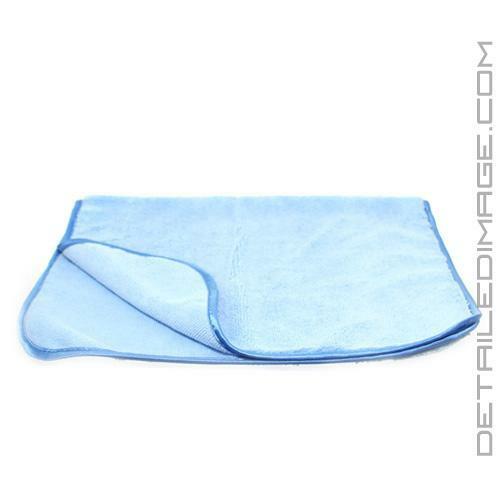 This two sided towel is perfect for cleaning a variety of surfaces! One of our largest microfiber towels measuring 16" x 24"
Is this towel large enough? We here at DI think so! 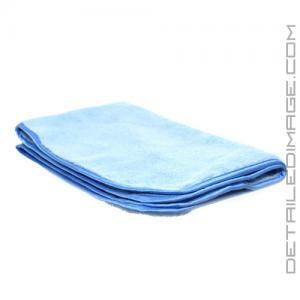 The DI Microfiber Two Sided Large towel measures 16" x 24", allowing you to cover a large amount of surface area. It's 50% larger than a regular 16" x 16" towel but size is not the only highlight of this towel. One side has longer fibers that help remove loose particles and collect them in the threading. The other side has a tighter weave and shorter nap that helps remove product that is more challenging to remove, like a stubborn polish. That is two nap lengths on one LARGE microfiber towel, what more could you ask for? 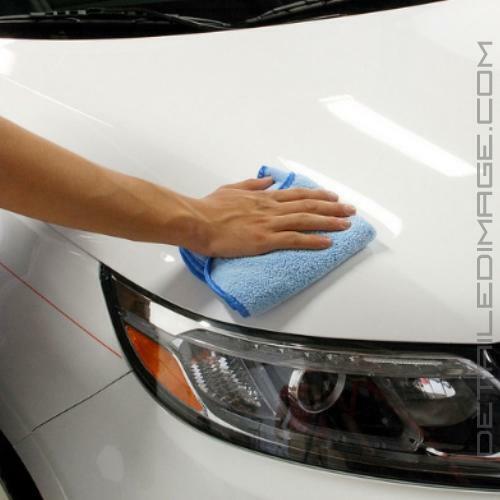 These features will help you remove dust, debris, and excess product (ie wax, sealant, polish, etc.) quickly and easily. 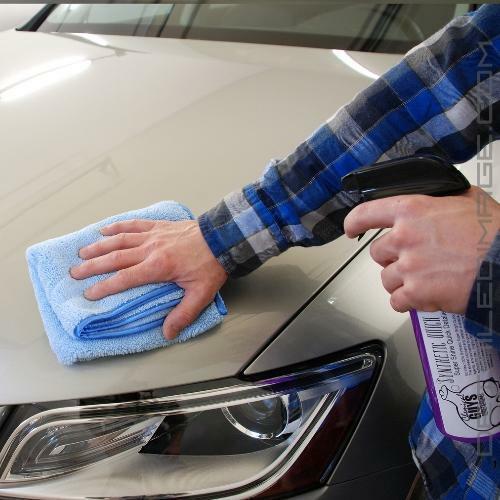 If that's not enough this towel is edged in silk, helping you avoid the risk of adding imperfections into your paint or other delicate surfaces. 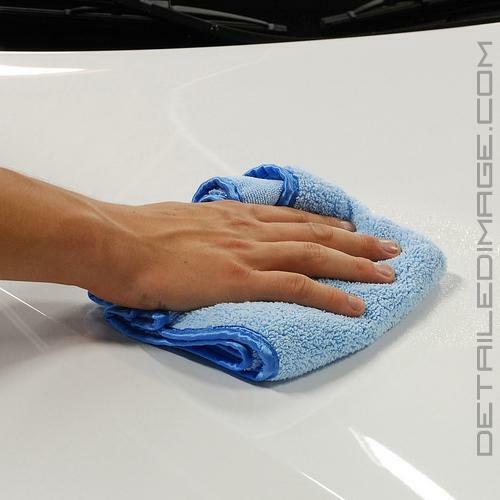 Cover more surface area and use the DI Two Sided Large towel to clean your paint, glass, interior, etc. with ease! There are many great things about this towel. First and foremost for me was the size. I have finally found a reasonably priced 16x24 towel that's of very good quality. I like to fold the towel a few times into an 8x6 section, which allows me to use it on multiple panels wiping off residue before I have to switch to a new towel. In addition to the size, this towel now comes with two different length fibers. 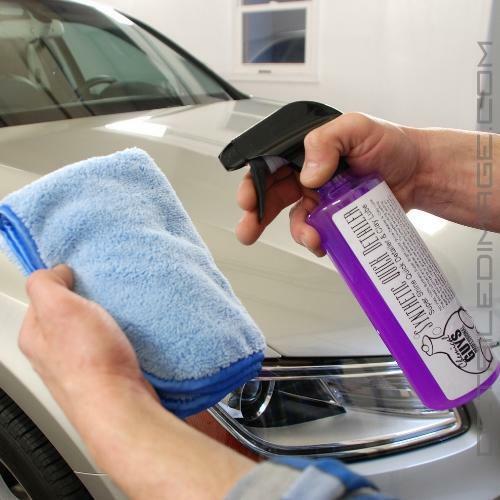 While I like both when polishing, some spray waxes and sealants are partial to either longer or shorter fibers so it's good to have an option. The shorter fibers are also good for cleaning glass as they won't leave trails of glass cleaner like the longer fibers. The edges are very safe as they're silk, so it helps with causing any unwanted towel marring on sensitive paint. This is the best towel I have used. Very nice towel on both sides, and the size is perfect. I'm keeping the 3 I ordered for special wax and when I order more I will use for detail spray because folded they are thick & huge. Great product at a Great Price..it don't get any better than this!